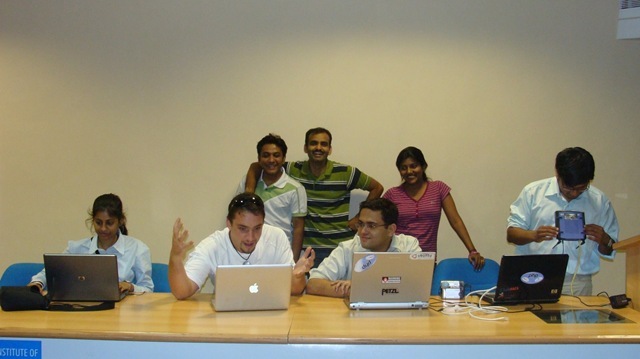 On 25th April 2009 we hosted first ever Joomla Day in India. This was made possible by support of Parth and Ashwin who forced me to also think about Joomla Day in last years PHPCamp, where we were planning for Drupal camp. They were later joined by Shardul, who was already pushing for Joomla day in India at events forum in joomla.org. He was the person who was on our first coffee meet to discuss how to get going so that we get official approval from OSM. He also pushed me to create and register Joomla User Group Pune, for the event. We met multiple times to talk and plan how things should happen. In middle of all this, out of nowhere, Mangesh joined us. 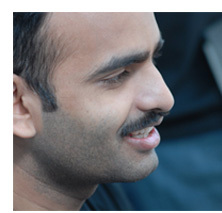 He was instrumental in actually making joomladay.co.in website usable, as Ashwin and Parth could not give the time and attention to it. He also ended up hosting the website on his server, when we started having trouble with dream host. With organizers team ready, we needed few volunteers, this is where Tara came into picture, he helped us with venue and insisted that we give I2IT a try. Krity worked on the content of the website and faq’s. Kinjal helped us with photographs, Rucha and Shruti helped us managing the registrations on the day of event. Finally I want to thank Toby Patterson for coming all the way from Thailand to help us with Joomla Day. Guys to stay updated about Joomla User Group Pune activity follow us on Twitter or Subscribe to our google group mailing list as Joomla Day is just an start. Posted in: joomla Tagged with: joomla day, joomla day india, jugpune. Glad to know you continue to be interested in Joomla. You promised a post on how to use the akindicplugin for Joomla versions beyond 1.5.12. Look forward to that post. I am doing Advance PHP course. This site is very useful.I like this site.